Age-Defying Exfoliating Pads on the go! Thanks to the new packet of 15 pads, you can travel easily with your pads. You can also refill your Age-Defying Exfoliating Pads jar! The 15 Pads are well preserved in an airtight packet, that keep them pre-moistened. Apply at night, one pre-moistened, single-use pad over face, neck and décolleté after cleansing with Hydrating Cleanser. For maximum anti-aging results, follow with our Advanced Peptide Antioxidant Serum, Anti-Aging Restorative Moisture, and Eye Revive Crème. Age-Defying Exfoliating Pads are physician strength 10% AHA and BHA acid pads. Exfoliate dead dull skin, lines and winkles, with anti-aging ingredients that are proven to tighten and firm skin and reduce the appearance of pore size. Skin’s hydration and nourishment is supported while excess sebum is removed, leaving the good oils to nourish and hydrate the skin. Enriched with chamomile for soothing and calming, it is perfect for sensitive skin. 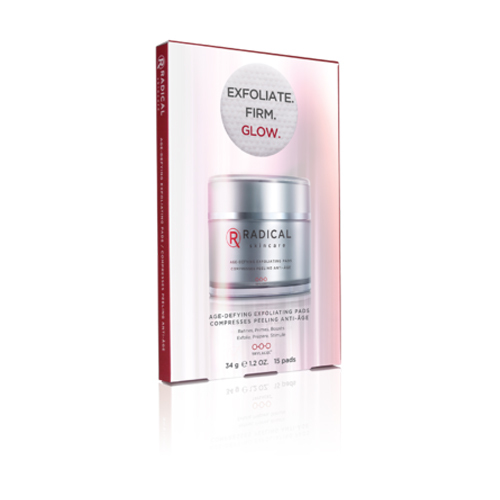 No dry peeling, no blotching, no redness. 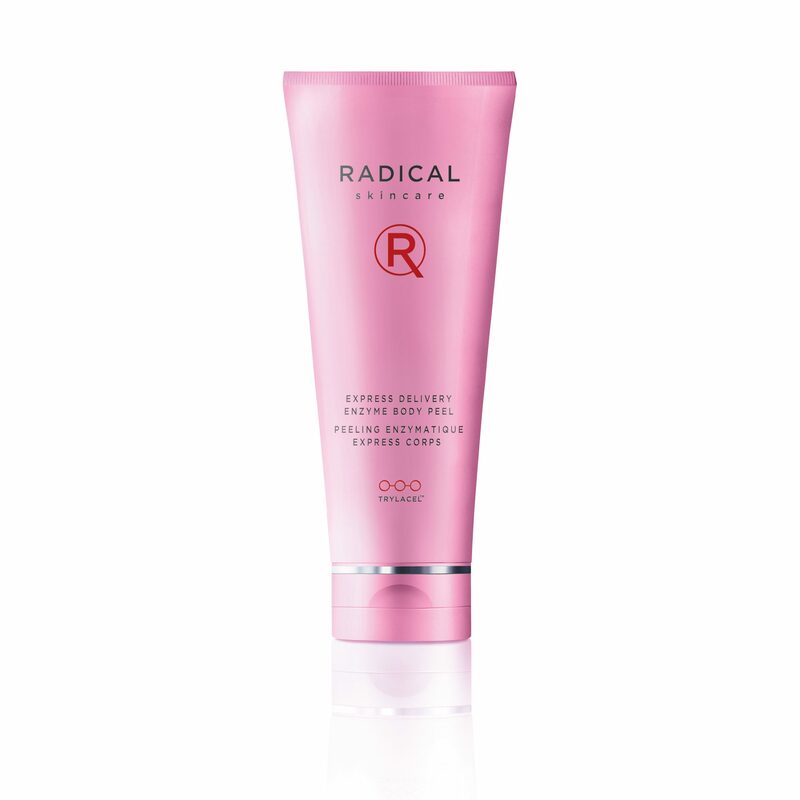 Just skin with a Radical and youthful glow. WONDERFUL I don’t know why I didn’t try this sooner. It has drastically reduced my acne and acne scars even just within this short time frame. My skin is more even and smooth than it has been in years. PLEASE never discontinue this product! Glowing skin! These pads make my skin look amazing! Less harsh than PTR pads. I use these at night followed by a serum. Got a sample set of these and in the brief week I have been using them, have seen a significant change in my skin. Tone, clarity, and scaring have all been significantly improved. Bare ski glows and my foundation goes on better. These really are a game changing item in my skin care regime. The price was a bit shocking at first but after using them I can justify the expense! Both my daughter (23) and I (49) use these pads and we both love them. They help your skin look better, improved overall texture for both of us. We cut them in half as suggested by sephora rep. Tingles a bit first few times you use it but once you adjust no more tingling, good results! Very expensive but cutting them in half helps. Love this product, love this line. I have gone to several dermatologists and none of them have fixed my issues…. Redness, dry and flaky and a few breakouts. Thanks to this product and the line….beautiful skin. These pads make my skin look amazing! Less harsh than PTR pads. I use these at night followed by a serum. One star off for the steep price tag, but if you cut the pads in half they will last awhile. I love these amazing exfoliating pads. They are easy and quick to use and leave my skin smooth and glowing. It is possible to add these to an existing routine but I am now starting to use the whole Radical range. These products have really worked wonders for my skin and for me it is a range that delivers what it promises. 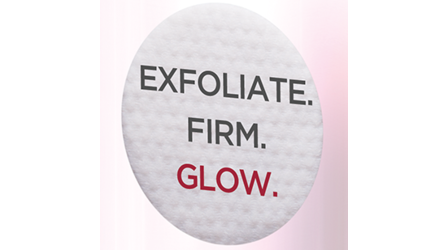 The Age-Defying Exfoliating Pads are effective in brightening my complexion and making my makeup look flawless. I didn’t tell my friends that I was using this product; they remarked that my skin has been looking healthy and that I looked 10 years younger than my age. All I can say is that the travel size of Exfoliating Pads is a lifesaver! It is the perfect size to bring on all my trips and travels and doesn’t take up any space in my luggage or carry on! One of these pads every other night make my skin look and feel clean and refreshed, no matter how jet-lagged I feel inside! Definitely recommend these for any frequent traveler. This ingredient protects longevity of skin stem cells, delays senescence of essential cells, combats chronological aging, and preserves the youthful look and the viability of your skin. Results have also shown it will protect from UV damage even at low concentration. Has a strong lifting capability and is immediately visible by the consumer. This ingredient tones the skin, makes it firmer, smoothes the skin’s micro relief and reduces wrinkles and lines. From an esthetic point of view Osilift also improves the hold of makeup over time. Osilift can be incorporated in all skincare products for the face or body designed to sculpt, model and smooth the skin. Mala’kite: This ingredient is a stone extract with a strong antioxidant activity and a detoxifying activity. It is a general skin protector and can be used in all cosmetic treatments. 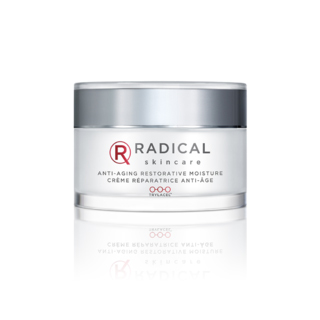 A blend of Glycolic and fruit acids help prepare the skin for absorption of active ingredients. It helps exfoliate the upper layers of dead skin while increasing penetration of other ingredients. Willowbark and Salicylic Acid help clarify pores, while reducing oily build up on the skin. These ingredients help control sebum production allowing the skin to retain its normal balance without too much drying.